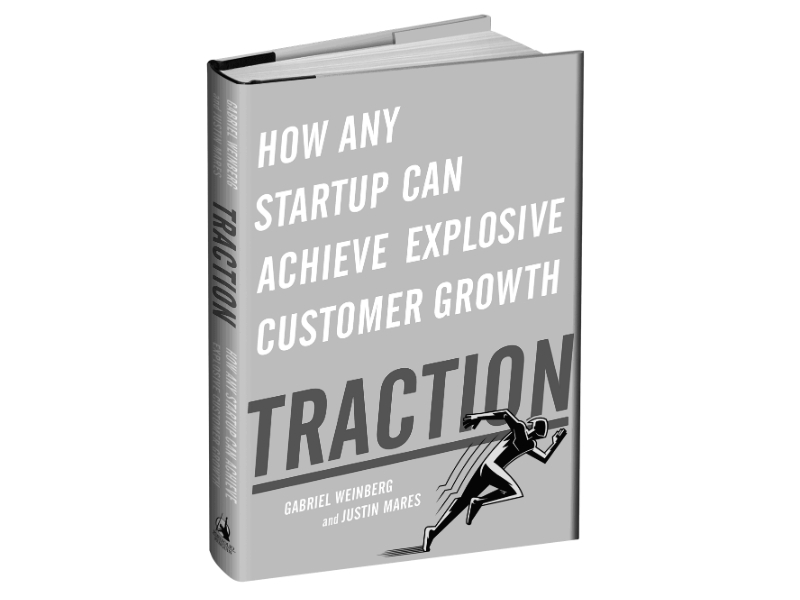 One of my favorite marketing books to refer to for ideas is Traction: A startup guide to getting customers by Gabriel Weinberg and Justin Mares. Their first edition was also available as an audiobook on Audible. They are now in the process of publishing a 2015 second edition so I thought I’d take a moment to share some of my favorite parts of the book. The idea behind the book is to derive practical lessons from how different startups have achieved their early growth. The book is probably the best window into the modern growth hacker style of marketing being practiced in startups today. The Lean Analytics blog has a link to a sample pdf with the first 3 chapters and the book website has links to several more sample pdfs. To really get a taste of the depth and usefulness of the book I’ve pulled out a couple of my favorite excerpts below. The quotes below are pulled from the first edition, so be sure to check out the book website for the latest samples and chapter outlines. After interviewing more than forty successful founders and researching countless more, we discovered that startups get traction through nineteen different channels. Many successful startups experimented with multiple channels (search engine marketing, business development, etc.) until they found one that worked. We call these customer acquisition channels “traction channels”. These are marketing and distribution channels through which your startup can get traction: real users and customers. Most founders only consider using traction channels they’re already familiar with or think they should be using because of their type of product or company. This means that far too many startups focus on the same channels (search engine marketing, public relations) and ignore other promising ways to get traction. It’s hard to predict the channel that will work best. You can make educated guesses, but until you start running tests, it’s difficult to tell which channel is the best one for you right now. When going through these traction channels try your best not to dismiss them as irrelevant for your company. Each traction channel has worked for startups of all kinds and in all different stages. Get one channel working that your competitors dismiss, and you can grow rapidly while they languish. Viral marketing consists of growing your userbase by encouraging your users to refer other users. We interviewed Andrew Chen, a viral marketing expert and mentor at 500 Startups, for common viral techniques and the factors that have led to viral adoption in major startups. We also talked with Ashish Kundra of myZamana, who discussed using viral marketing to grow from 100k users to over 4 million in less than a year. Public relations is the art of getting your name out there via traditional media outlets like newspapers, magazines and TV. We interviewed Jason Kincaid, former TechCrunch writer, about pitching media outlets, how to form relationships with reporters, and what most startups do wrong when it comes to PR. We also talked with Ryan Holiday, bestselling author of Trust Me, I’m Lying and media strategist, to learn how startups could leverage today’s rapidly changing media landscape to get traction. Unconventional PR involves doing something exceptional (like publicity stunts) to draw media attention. This channel can also work by repeatedly going above and beyond for your customers. Alexis Ohanian told us some of the things he did to get (and keep) people talking about reddit and Hipmunk, two startups he co-founded. Search engine marketing (SEM) allows companies to advertise to consumers searching on Google and other search engines. We interviewed Matthew Monahan of Inflection, the company behind Archives.com (before its $100 million acquisition by Ancestry.com) to learn how Archives relied primarily on SEM for their growth. Ads on popular sites like reddit, YouTube, Facebook, Twitter and hundreds of other niche sites can be a powerful and scalable way to reach new customers. We brought in Nikhil Sethi, founder of the social ad buying platform Adaptly, to talk with us about getting traction with social and display ads. Offline ads include TV spots, radio commercials, billboards, infomercials, newspaper and magazine ads, as well as flyers and other local advertisements. These ads reach demographics that are harder to target online, like seniors, less tech-savvy consumers and commuters. Few startups use this channel, which means there’s less competition for many of these audiences. We talked with Jason Cohen, founder of WPEngine and Smart Bear Software, about the offline ads he’s used to acquire customers. Search engine optimization is the process of making sure your website shows up for key search results. We interviewed Rand Fishkin of Moz (the market leader in SEO software) to talk about best practices for getting traction with SEO. Patrick McKenzie, founder of Appointment Reminder, also explained to us how he uses SEO to cheaply acquire lots of highly targeted traffic. Many startups have blogs. However, most don’t use their blogs to get traction. We talked with Rick Perreault, founder of Unbounce, and OkCupid founder Sam Yagan to learn how their blogs transformed their businesses. Email marketing is one of the best ways to convert prospects while retaining and monetizing existing ones. For this chapter we interviewed Colin Nederkoorn, founder of email marketing startup Customer.io, to discuss how startups can get the most out this traction channel. Using engineering resources to acquire customers is an underutilized way to get traction. Successful companies have built micro-sites, developed widgets, and created free tools that drive thousands of leads each month. We asked Dharmesh Shah, founder of Hubspot, to discuss how engineering as marketing has driven Hubspot’s growth to tens of thousands of customers through tools like their Marketing Grader. Popular startups like Codecademy, Mint, and reddit all got their start by targeting blogs. Noah Kagan, Mint’s former director of marketing, told us how he targeted niche blogs early on, and how this strategy allowed Mint to acquire 40,000 users before launching. Business development is the process of creating strategic relationships that benefit both your startup and your partner. Paul English, co-founder and CEO of Kayak.com, walked us through the impact of their early partnership with AOL. We also interviewed venture capitalist Chris Fralic, whose BD efforts at Half.com were a major factor in eBay’s $350 million acquisition of the company. We’ll show you how to structure deals, find strategic partners, build a business development pipeline, and approach potential partners. Sales is primarily focused on creating processes to directly exchange product for dollars. We interviewed David Skok of Matrix Partners – someone who’s taken four different companies public – to get his perspective on how the best software companies are creating sustainable, scalable sales processes. We also take a look at how to find early customers and have winning sales conversations. Companies like Hostgator, GoDaddy and Sprout Social have robust affiliate programs that have allowed them to reach hundreds of thousands of customers in a cost-effective way. We interviewed Kristopher Jones, founder of the Pepperjam Affiliate network, to learn how a startup can leverage this channel. We also talked with Maneesh Sethi to learn how affiliate marketers choose what products to promote, and some of the strategies they use to do so. Focusing on existing platforms means focusing your growth efforts on a mega-platform like Facebook, Twitter, or an App Store and getting some of their hundreds of millions of users to use your product. Alex Pachikov, on the founding team of Evernote, explained how their focus on Apple’s App Store generated millions of customers. Trade shows are a chance for companies in specific industries to show off their latest products. We interviewed Brian Riley of SlidePad, an innovative bike brake startup, to learn how they sealed a partnership that led to over 20,000 sales from one trade show and their approach to getting traction at each event. Sponsoring or running offline events – from small meetups to large conferences – can be a primary way you get traction. We spoke with Rob Walling, founder and organizer of MicroConf, to talk about how to run a fantastic event, how it can benefit you, and the type of work that goes into pulling off a successful event. Eric Ries, author of the bestselling book The Lean Startup, told us how he used speaking engagements to hit the bestseller list within a week of the book’s launch, how he landed these talks, and why he chose to use this channel to generate awareness and book sales. We also interviewed Dan Martell, founder of Clarity, to learn how to leverage a speaking event, give an awesome talk and grow your startup’s profile at such speaking gigs. Companies like Zappos, Wikipedia, and Stack Exchange have all grown by forming passionate communities around their products. In our interview with Jimmy Wales of Wikipedia, he detailed how he built the Wikipedia community that’s created the largest repository of human knowledge in history. Every one of the nineteen traction channels has proven an effective means to get initial traction for both enterprise and consumer companies. It is hard to predict exactly which traction channel will be best for your company at a particular time. You have natural tendencies (bias) toward or against certain traction channels. Which traction channels are you biased for? Which traction channels are you biased against? A common story goes like this: founders build something people want by following a sound product development strategy. They spend their time building new features based on what early users say they want. Then, when they think they are ready, they launch, take stabs at getting more users, only to become frustrated when customers don’t flock to them. Having a product your early customers love but no clear way to get more traction is frustrating. To address this frustration, spend your time building product and testing traction channels – in parallel. Building something people want is required for traction, but isn’t enough. There are many situations where you could build something people want, but still not end up with a viable business. The testing step is where you put your ideas into the real world. The goal of this step is to find out which of the traction channels is worth focusing on. You will make that decision based on results from a series of relatively cheap tests. These tests should be designed to answer the following questions. Roughly how much will it cost to acquire customers through this channel? How many customers do you think are available through this channel? Are the customers that you are getting through this channel the ones that you want right now? 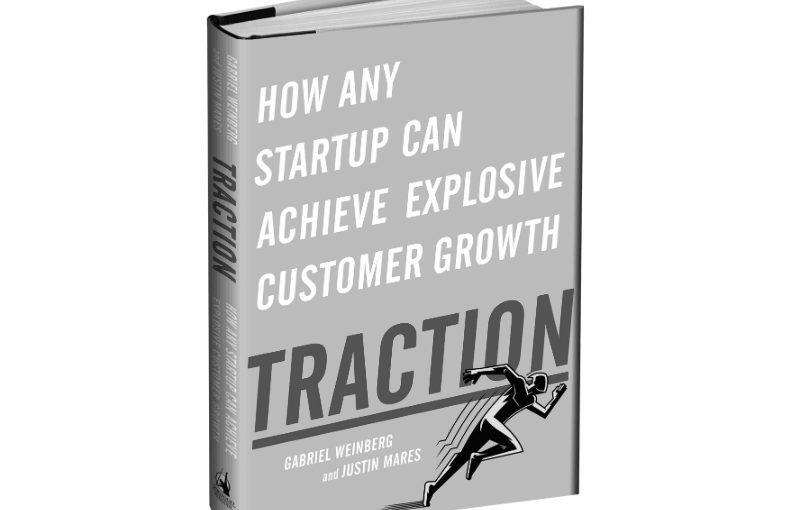 Your traction strategy should always be focused on moving the needle for your company. By moving the needle, we mean focusing on marketing activities that result in a measurable, significant impact on your company. It should be something that advances your user acquisition goals in a meaningful way, not something that would be just a blip even if it worked. At different product phases, moving the needle means different things. In phase I, it’s getting those first few customers. In phase II, it is getting enough customers where you’re knocking on the door of sustainability. And, in phase III, your focus is on increasing your earnings, scaling your marketing channels, and creating a truly sustainable business. Some traction channels will move the needle early on, but will fail to work later. Others are hard to get working in phase I, but are major sources of traction in the later phases (PR is a good example). On the other hand, some channels will be great in phase I but useless in phases II and III because they simply don’t have the volume required to move the needle. To read the the full book, check it out on Kindle and paperback on Amazon. 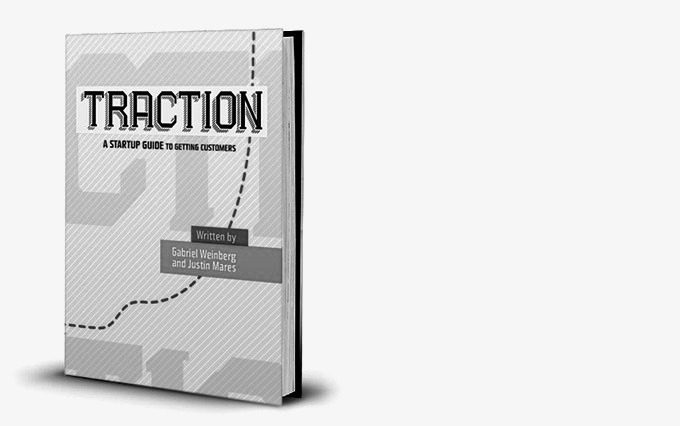 The second edition of Traction has a new subtitle, Traction: How any startup can achieve explosive customer growth. Personally, I quite liked the old subtitle, but the book is absolutely awesome and the relaunch of the new edition will take the material to a whole new audience. You can also check out the authors at their Traction Book Website and they have a great series of articles about Traction on the blogging platform Medium. The audiobook of the first edition was excellent, so I’m also looking forwards to the relaunch of the audiobook for the second edition.